A rare colour, we have good stock of this exquisit and highly sought after selection. 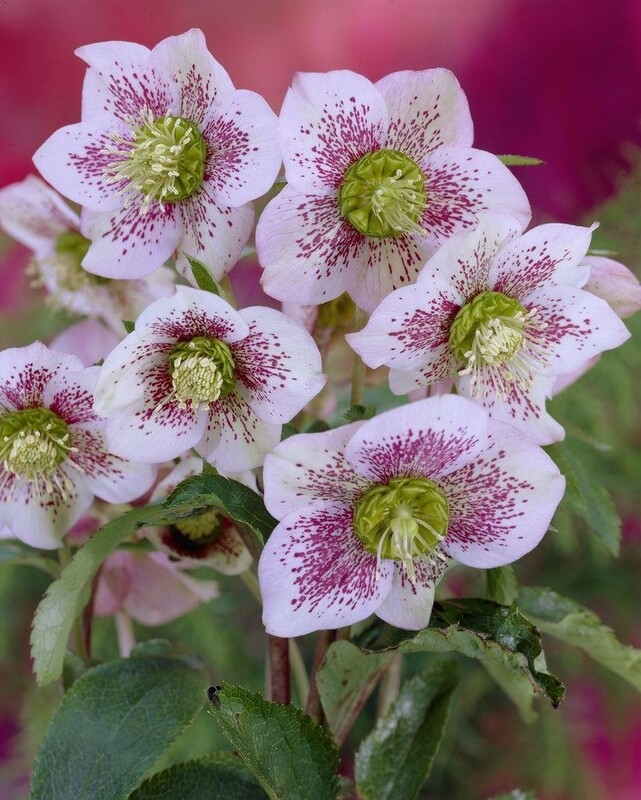 It's an easy going plant and carries its pretty white flowers with varying degrees of red speckles, occassionally these are flushed with soft pink, from February to April. The leathery, deep green leaves are usefully rabbit and deer resistant for woodland gardens. This is an attractive variety which is perfect as a ground cover for areas of dappled shade under deciduous trees and shrubs. Like all hellebores they prefer a heavy soil. Supplied as established plants growing in approx 2 litre containers, these are supplied in bud/flower in season.